After you've tackled your back to school to-do list it's time to get creative! 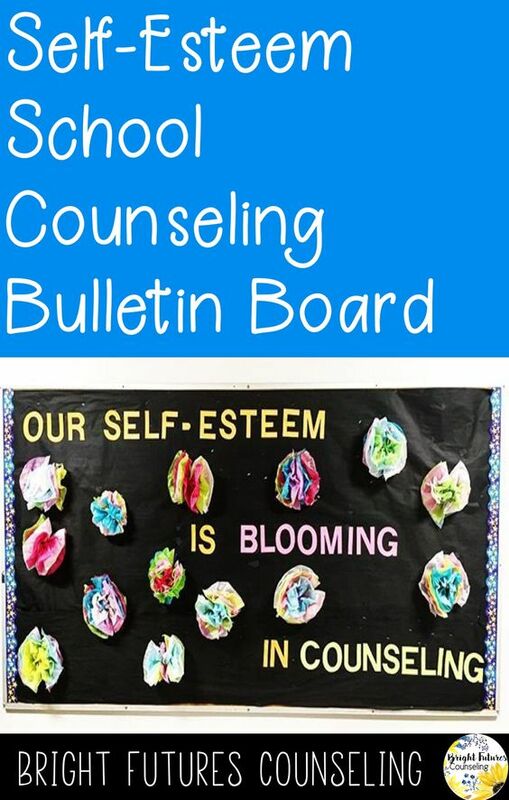 Teachers are always creating awesome bulletin boards but as school counselors it is something we often underutilize and overlook. 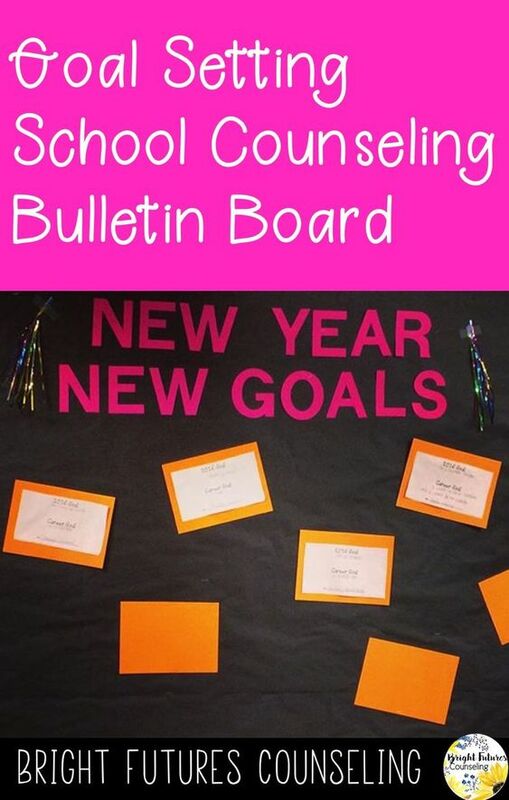 Bulletin boards are a great way to engage students and to help them feel at ease in the counseling office. At one of my school's I only have one bulletin board inside my office so it is only seen by the kiddos who come to see me. I keep it consistent throughout the year and incorporate the school's mascot. Our school mascot is the bee! I found these cute bees at the Dollar Tree. 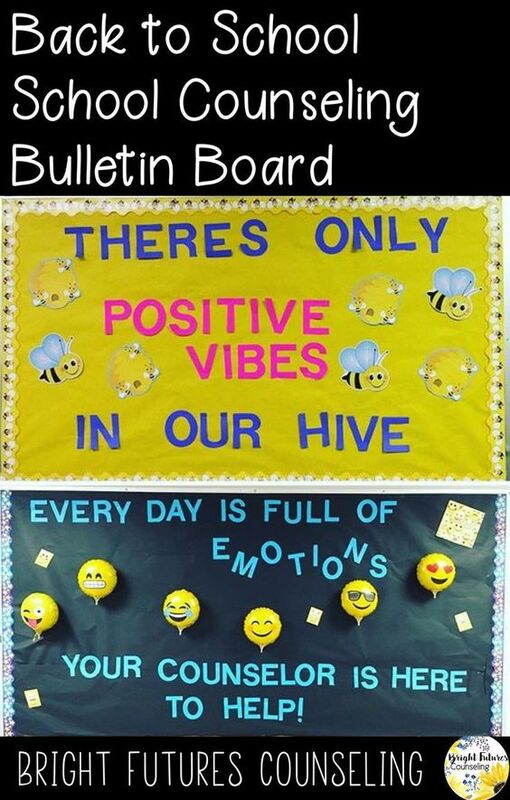 The year before I had a similar bee bulletin board. You can see it on the left wall. This one said "Be..." and had positive traits such as confident, brave, unique, and kind. At my other school I didn't have a bulletin board but my principal suggested I hang one up in the hallway outside my office. Don't be afraid to ask your custodian if there are any extras lying around. You'd be surprised at what you may find! This bulletin board is my favorite and I change it often since it is a daily focal point of all 600+ students. I use it to spread awareness on seasonal topics (Bullying Prevention Month, Red Ribbon Week, etc.) and to showcase what we are doing in counseling. This way students are reminded of my role and feel welcome to stop by my office. I try to change this bulletin board every few months. 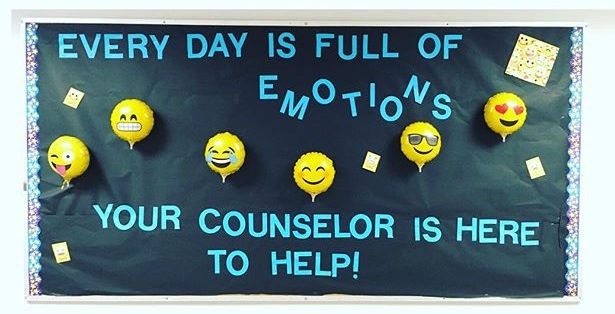 I created this emoji bulletin board for the first day of school. My kiddos are always using emojis so they really liked this one! I think I found the saying on Pinterest. I bought the balloons in the party section at Walmart and the emoji cards I cut off of a notebook cover I found in the school supply section at Walmart. After my girl's self-esteem group ended I created this bulletin board. The girls created the flowers out of tissue paper as a closure activity for the last session. Here is a video tutorial of how to make the flowers. 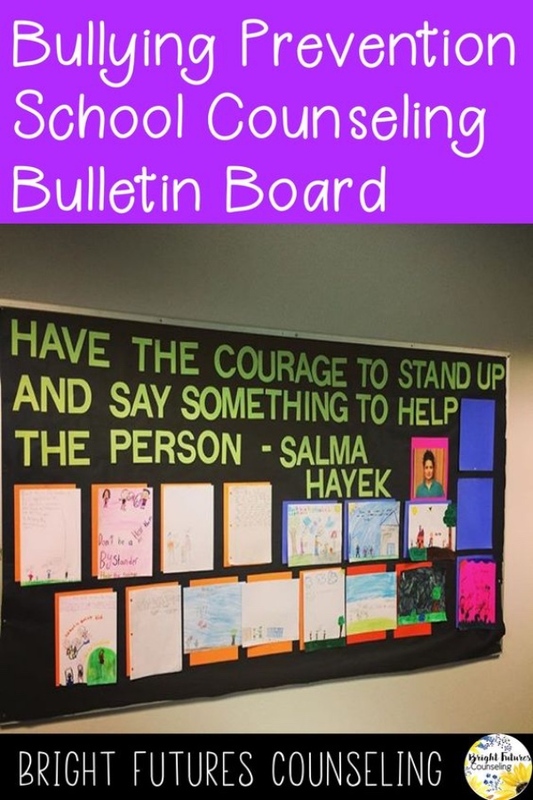 I created this bulletin board for October's Bullying Prevention Month. Students submitted drawings of them being up-standers! The Salma Hayek quote is from a video they watched during the guidance lesson. After winter break I created this simple bulletin board with some leftover tassels I found in my office. The students I was seeing for individual sessions wrote down their academic, personal, and, social goals for the new year. Download a free goal setting worksheet here. Don't have a bulletin board? Make your own! I used butcher paper and a bulletin board border (you can find these at most school/office supply stores) to create one. Pros: It can be any shape and size. Cons: It doesn't have a cork backing so you can't pin or staple, but you can use tape! 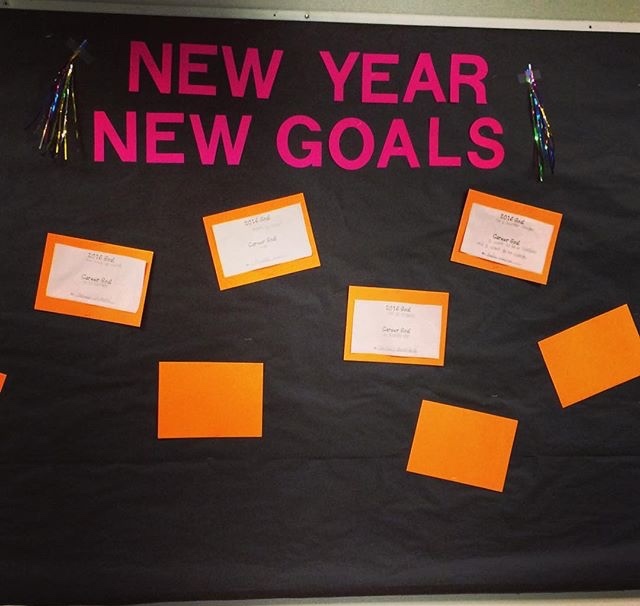 What are some of your favorite bulletin board ideas?